The Fair Trade Commission announces it will investigate claims that South Koreans are getting a raw deal on prices. 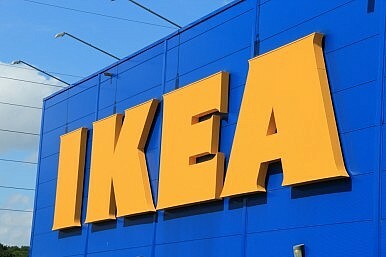 Multinational furniture seller IKEA is facing an investigation in South Korea, as suspicion mounts that the Swedish company is charging South Korean customers more than it charges buyers in other countries. Jang Duck-jin, head of South Korea’s Fair Trade Commission, told reporters on November 24 that Korea’s Fair Trade Commission (FTC) will inspect IKEA Korea in cooperation with domestic consumer groups, to see if IKEA has a high price policy in South Korea. The FTC is South Korea’s regulatory authority for economic competition, with a mandate to protect consumers’ rights. Jang added that the FTC will provide price information with its inspection, comparing IKEA Korea to department stores, retailers, and online shopping malls. The results of the inspection would be made available by February 2015. IKEA is scheduled to open its first store on December 18 in Gwangmyeong, to considerable anticipation among bargain-hungry consumers. There was even concern that the arrival of IKEA would hurt domestic business. “IKEA’s open in South Korea will be disaster for domestic furniture manufacturers especially for small and mid-sized businesses,” said Yang Hae-chae, head of the Korea Federation of Furniture Industry Cooperatives, in a press release in September. Under current laws, no duties apply on imports of complete furniture products, but domestic furniture manufacturers pay an 8 percent duty on raw material imports. However, when IKEA launched its online shop several weeks ago, that concern quickly gave way to controversy of a different kind. Shoppers found that prices on some products were higher than prices of the same products sold in other countries. A check on November 24, for instance, revealed that a TV cabinet cost 449,000 Korean won ($404), compared to $333 in Japan and just $207 in the U.S.
Andrew Johnson, a sales manager at IKEA Korea, responded to the controversy on November 19, pointing out that prices of IKEA products are determined by local conditions. He explained that IKEA looks at factors such as market conditions, distribution channels, and place of manufacture, which means that prices vary depending on the market. Johnson added that IKEA set low prices for products that the company’s market research determined were popular with South Korean customers, while products considered “expensive” were priced based on the South Korean market. He also explained that the company’s policy is to charge more when customers ask IKEA employees to assemble products. IKEA Korea is expected to charge 40,000 won for this service. Still, he insisted that IKEA prices would be competitive in the Korean market, even with the service charge. The explanation – an unusual move by IKEA – shows its determination to minimize the blowback from the price controversy in South Korea. However, public discontent has shown no sign of fading, and prices are expected to remain a sore point in South Korea as IKEA has made it clear that there is no plan to reduce prices until July 31 next year.